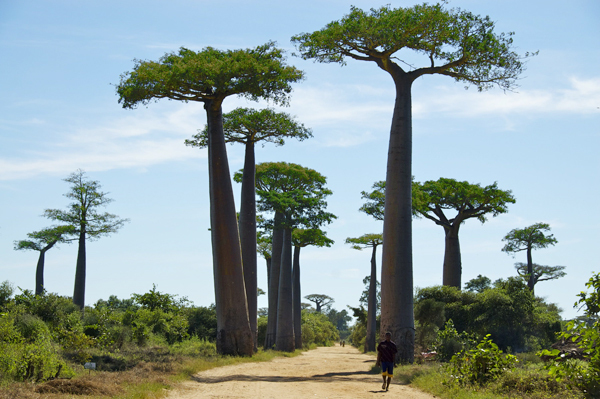 Baobab trees include nine unique species, six native to Madagascar, two native to mainland Africa and the Arabian Peninsula, and one native to Australia. They all store water in the trunk (up to 26,000 gallons at one time) to endure the harsh drought conditions particular to each region. A South African specimen known as Grootboom was dated to be at least 1275 years old, making it the oldest known tree in the world. 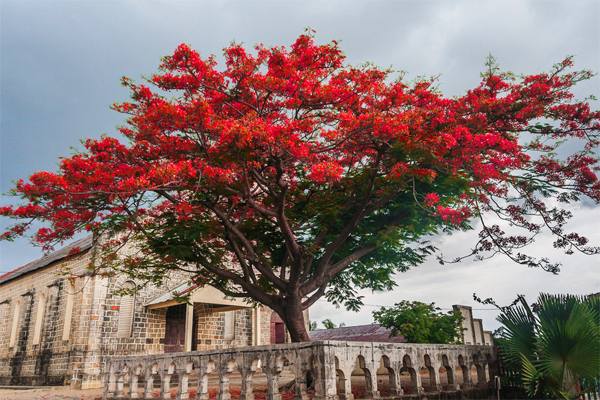 The Royal Poinciana or ‘Flamboyant Tree’ is native only to the Madagascar’s dry deciduous forests, and is currently endangered in the wild. 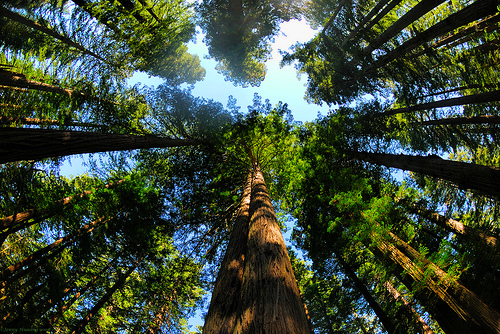 The giant sequoia is world’s most massive tree, and they occur in only one place on Earth – the western slope of the Sierra Nevada mountain range in California. 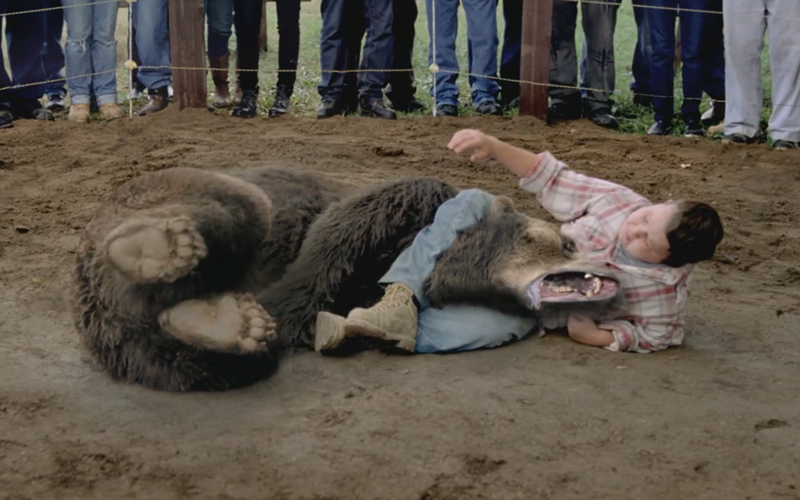 The tallest can grow to almost 300 feet in height and over 100 feet in circumference. 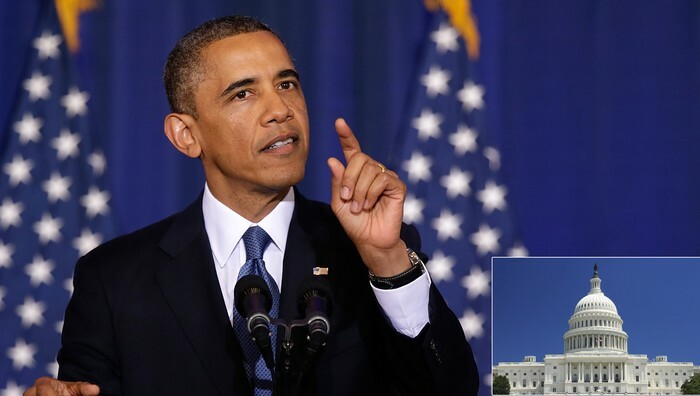 The Japanese Wisteria was brought from Japan to the United States in 1830’s, and since then, has become one of the most highly romanticized flowering garden plants. 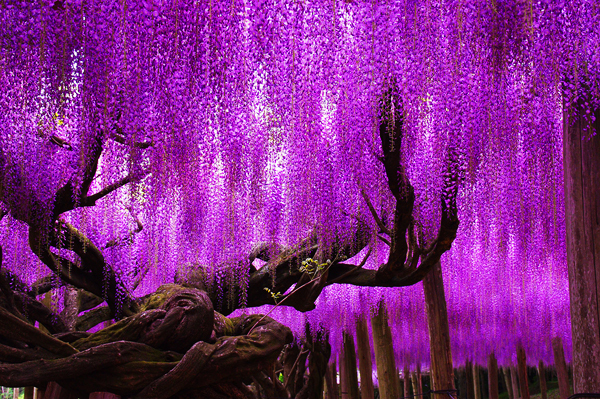 Some wisteria trees in Japan are rumored to be over 1,000 years old. 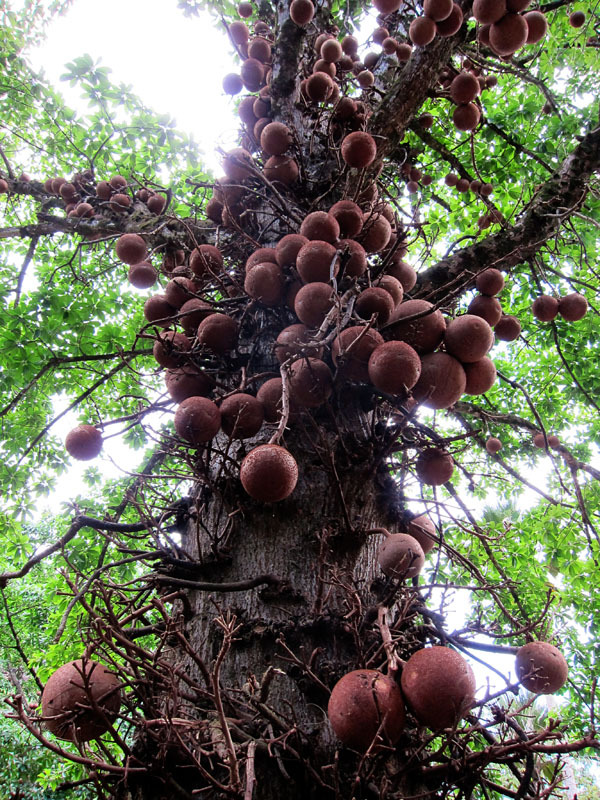 The Couroupita guianensis, or ‘Cannonball Tree’ is native to is native to the rainforests of Central and South America. The large fruit, which is woody and very spherical, measuring up to 25 centimeters wide, gives the species the common name “cannonball tree”. The cannonballs are used to make bowls and can be eaten, but rarely are since they smell horrible. 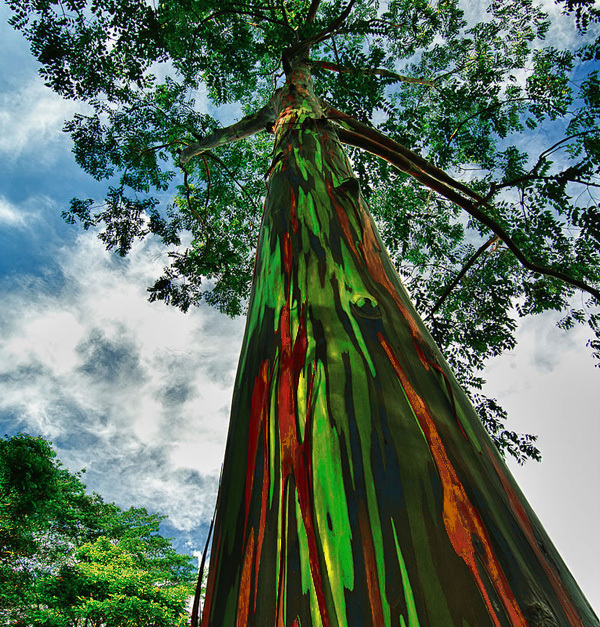 The Eucalyptus deglupta is known as the rainbow eucalyptus. It primarily grows on pacific islands in the northern hemisphere. The unique multi-hued bark sheds annually at different times, showing a bright green inner bark, then darkens and matures to give blue, purple, orange and then maroon tones. 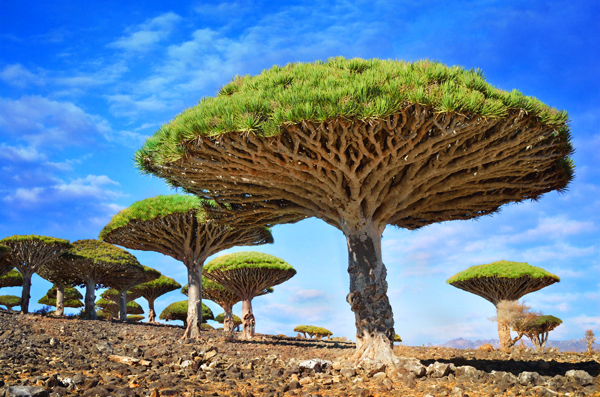 The legendary ‘dragon-blood tree’ is only found on the small island of Socotra in the country of Yemen. It naturally grows with a unique and strange appearance, described as a densely packed umbrella shaped crown. 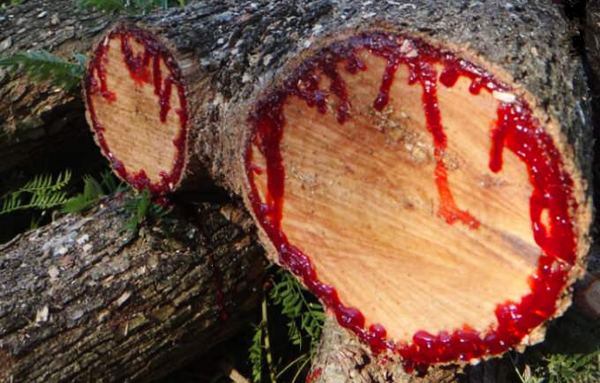 It also produces a deep red sap, giving it’s name, the ‘dragon-blood’ tree. This is the Angel Oak in Charleston SC, the worlds most famous Southern Live Oak tree, some people estimate it to be 1,500 years old. The Southern Live Oak is an evergreen tree that frequently support other plant species such as rounded clumps of ball moss, thick drapings of Spanish moss, resurrection fern, and parasitic mistletoe. 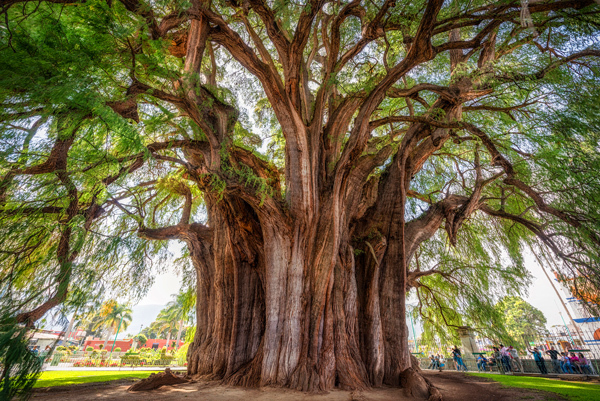 The Árbol del Tule, a Montezuma Cypress in Santa María del Tule, Oaxaca, Mexico, is the stoutest tree in the world with a 137.8 foot diameter trunk. 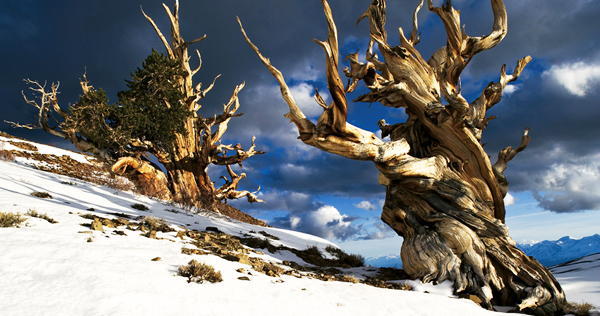 The bristlecone pines are the oldest living organisms in the world. A specimen located in the White Mountains of California is 5,063 years old according to measurements by Tom Harlan. This is the oldest known tree in the world – it started growing in 3049 BC, around the same time that the first form of writing was invented (Cuneiform), and the city of Troy was founded.